$6.50 for 16oz at Memphis BBQ Co. 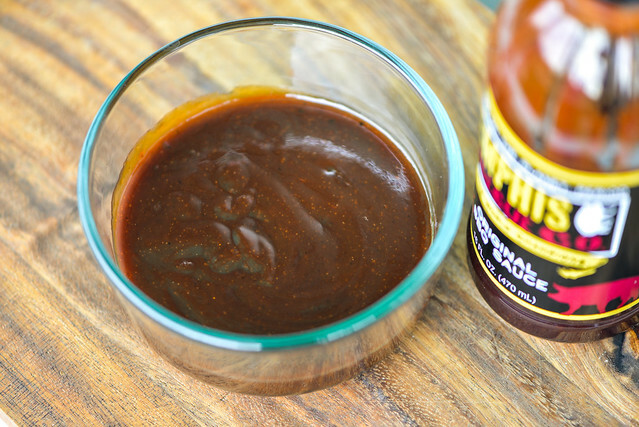 Hitting the Worcestershire, this sauce has a lot of depth that's a pleasing mixture of sweet and tangy out of the jar, but even better after being grilled. 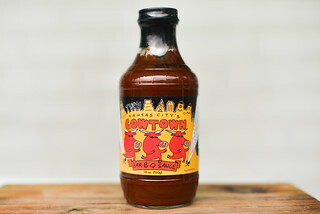 My buddy Clint of Smoke in Da Eye, who showed me the ropes of competition barbecue, was kind enough to send me a couple bottles of Memphis BBQ Co. sauce. Clint does works some P.R. 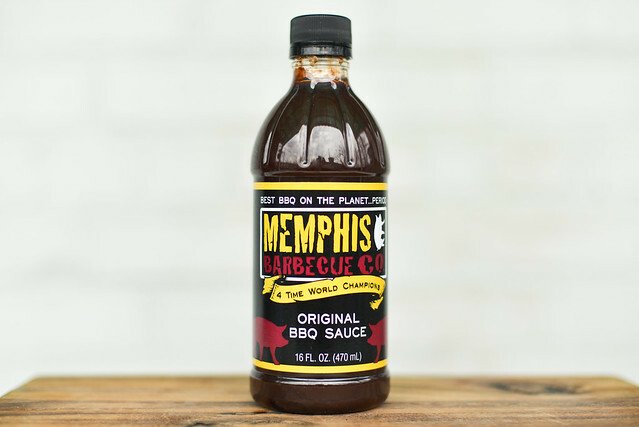 for Memphis BBQ Co., which is headed by award-winning pitmaster Melissa Cookston. Despite the Memphis name, Melissa actually hails from just south of the Tennessee border in Mississippi. Her competition team, Yazoo's Delta Q, is out of Nesbit, Mississippi, while her first restaurant opened just north of there in Horn Lake. Melissa added a second Memphis BBQ location in Fayetteville NC and is working on a third coming to Dunwoody, GA. Beyond competition and the restaurants, Melissa has two barbecue sauces on the market, one rub, and just released a cookbook, Smokin' in the Boys Room, this year. An equally weighted, strong tomato and molasses mixture fills the nose on first smell. There's a deep sweetness to the sauce without it smelling sugary. Right behind the tomato and molasses is a heavy hit of Worcestershire, giving a lot of depth to the aroma overall. Vinegar sits just beyond that, providing a mellow tanginess. Hints of the spices come out on subsequent smells, mainly onion and garlic. This smooth and glossy maroon sauce is semi-opaque, letting you see the tons of spices that are mixed in. It hits right in the center of the thickness scale and has a quick, steady, and even pour from a spoon. As the sauce slows to a few final drops, a thin coating is left clinging to the silverware. 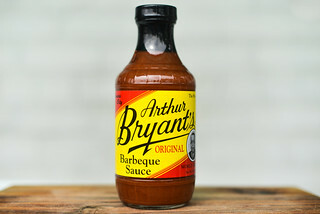 Heavy on the Worcestershire, this sauce has a complexity right out of the gate. That ubiquitous Worcestershire flavor mixes with ketchup and molasses out front to provide a deeply sweet and fruity beginning. That sweetness sticks with you throughout the progression of flavors as vinegar comes in and adds a delicate tanginess. Followed by the vinegar, all the spices have their say as a mixture of onion, garlic, and chili can be tasted. Those fade a bit at the end, but the molasses and Worcestershire persist, ending with a flavor comparable to the start. 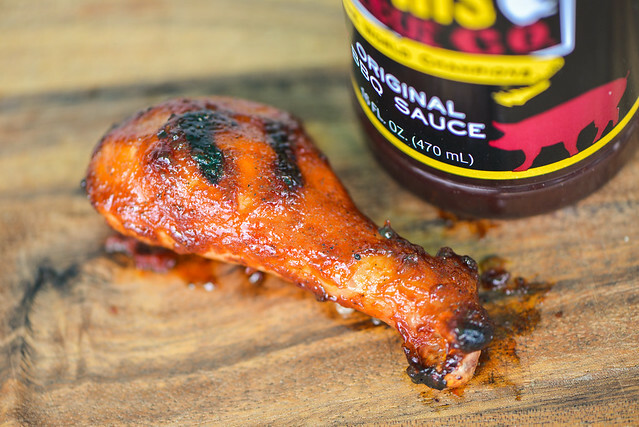 The sauce coated the chicken leg well, and baked down perfectly over direct heat. There was a slight burn off over direct heat, but not enough that it required more brushings to fix the problem in the end. The flavor of the sauce only seemed to get better after being cooked. The sweetness was turned up a notch, which brought it in better balance with the tomato, vinegar, and Worcestershire. The underlaying spices remained, adding further depth that was already pretty strong thanks to the Worcestershire. It was a well balanced and robustly flavored piece of chicken. Out of the jar, this sauce sticks out with it's strong dedication to Worcestershire that makes this sauce have a deep complexity in comparison to many other sauce. I thought there was something just a little off balance and odd to the flavor that made it drop down a level, but that characteristic was completely fixed after being cooked. Heat made the sauce balance out incredibly well and it continued to hold on to all the flavors out of the jar, but presented them in an even tastier manner. 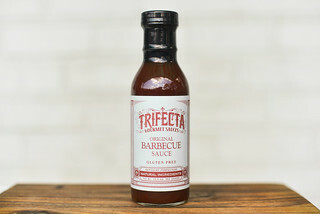 I don't think the sauce will do any harm as condiment, but it certainly shines when introduced to fire, making it well suited for barbecue chicken, smoked ribs, and more.